Momentum Physio are your IMS and physio specialists. But we’re not only helping people in Maple Ridge; we’re here to help people in Pitt Meadows too! Our passion is helping our patients recover from injury, prevent future injuries and ultimately help increase quality of life. We help people with services like Intramuscular Stimulation in Maple Ridge (IMS Maple Ridge). We’d love to help you on your journey to physical recovery! Physiotherapy helps patients maintain and restore maximum movement and functional ability. Your movement may be hindered by injury, age, pain, diseases, or environmental factors, and our physical therapists will help uncover the root cause of your pain and develop a plan to help encourage your body to heal. 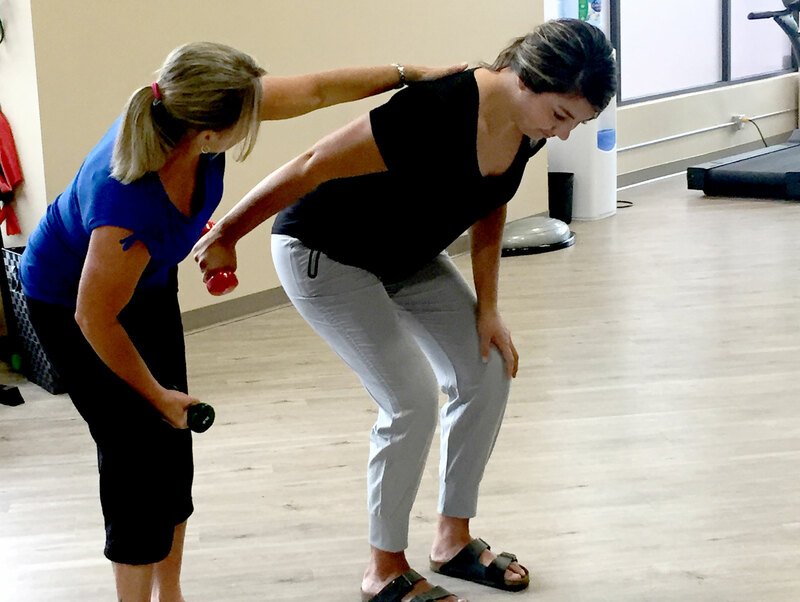 We would use a variety of techniques to help you through the recovery process, including: manual therapy, exercise prescription, IMS, Ultrasound, Interferential Current (IFT). Mechanical traction is available and helpful for both neck and lumbar injuries. This technique allows us to use specific weight, intermittent time settings and various angles to help decompress the spine. Traction can beneficial for treating disc “bulges” and “pinched” nerves. At Momentum Physio, we are specialists in IMS Maple Ridge treatments. IMS is a total system of diagnosis and treatment of chronic myofascial pain (muscular system). With chronic pain, the injured muscles have become tight due to actual muscular shortening and hypersensitivity of the nerve supplying those muscles. IMS releases muscle shortening and eases underlying nerve irritation. After a detailed assessment, treatment includes the use of thin acupuncture needles inserted into affected muscle tissue. This produces a “twitch” or dull, cramp-like sensation for a few seconds and the needle is removed. This is effective to gradually relieve chronic pain. Frequency is no more than 1 session/ week, however, total number sessions will vary. Exercise therapy is an important part of our philosophy to assist our clients in recovery. We regularly teach and recommend individual exercises our clients. We develop a plan of physical movements (or exercises) and/or postures for our patients to perform, that will prevent injury and promote healing. These may include various flexibility or stretching exercises as well as strengthening exercises aimed at improving posture and core stability. Your body in “recovery mode” after a surgical procedure. This requires a different level of physiotherapy. We have extensive experience designing physical therapy programs for a variety of post-op clients including total joint replacements, reconstructive and arthroscopic procedures. We will work in close contact with your surgeon to ensure their particular protocol is implemented. At your first appointment, we’ll go over general medical history, specific area of pain or injury, how the pain started, what we can do to assist and what your goals are for our sessions. We will then complete a detailed musculoskeletal assessment, rule out any “red flags” before outlining a customized treatment plan. If you are looking for an IMS Maple Ridge treatment let the specialists at Momentum Physio help you. We can work with you to determine your best treatment plan. The number of subsequent appointments will vary depending on severity and type of injury. They may include a combination of modalities, exercise instruction, manual therapy, IMS, perform in our office as well as at-home care and exercise instructions.